Palam Metro Station is aligned with Magenta Line of Delhi Metro. This under construction metro station is likely to open in December 2017. Once this metro gets functional then this will be the nearest metro station from the below listed locations. Underground Palam Metro Station will be the 4th station of the magenta line that starts from Janak Puri West and the end point will be Botanical Garden. Magenta line will cross blue line, yellow line and violet line. After the opening of this metro station commuters from Palam will get metro station at a walkable distance. This metro will help people from West Delhi to connect Gurgaon by taking a diversion on yellow line. Magenta line meets yellow line at Hauz Khas Metro and from there Gurgaon is just 9 stops away. That’s a great news. 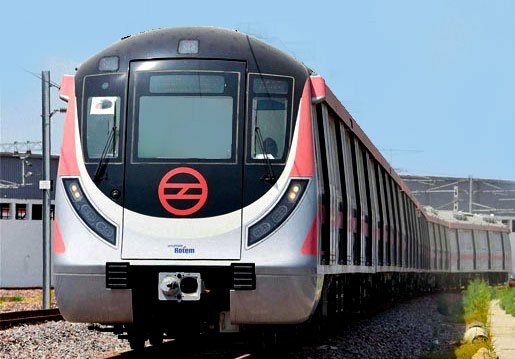 It is not just one location, this will help commuters from Raj Nagar, Sadh Nagar, Manglapuri and Palam Colony to connect all major locations in Delhi through metro.People from Palam Colony have to cross the busy and congested roads in Dabri to reach Janakpuri, now it’s just two stations away. Means you can reach Janakpuri from Palam Colony in no time, same with other locations too. Bingo! This under construction of metro line consists 25 stations starting from Janakpuri West to Botanical Garden. One of the stations in this line is Domestic Airport Terminal 1D. 15 stations in this line are built underground. Out of 25 stations, 15 are underground. Let’s check the stations. This is a perfect location to buy property. FlatsOnSale offers 1 ⁄ 2 ⁄ 3 BHK Flat for Sale in Palam Colony Delhi. FlatsOnSale is a group of property owners selling directly to the buyers. Own a property in Palam Colony through us at a true price. All the flats we listed in Palam Colony are independent builder floor. Why are we special in the market? 90% of the cases you buy a flat from a third party dealer or you might be dealing with the owner through a broker. What is harm in it? Nothing but the dealer won’t do his job without a handsome commission and the fact is that almost 99.99% of his commission will be paid by the buyer. Here we come in the picture. We sell our flats directly in the market without the help of dealers this will help you to save the money that goes in the dealer’s hands. We provide properties at best prices.